This magazine and tract folio is a handy tool for many reasons. For one, it is reversible so you can display the magazines through clear vinyl windows on the inside or the outside, as suits your purpose. This is true for both the leather and the leatherette versions of this product, both of which are easy to grip and easy to slip into your briefcase or tote bag. In addition to picking out the material you want, you also have a variety of color options. Whether you prefer, neutral and understated hues of tan or grey or you would like a cheerful teal, pink, purple or neon green, the choice is yours! So, how does this wonderful new product differ from older versions? 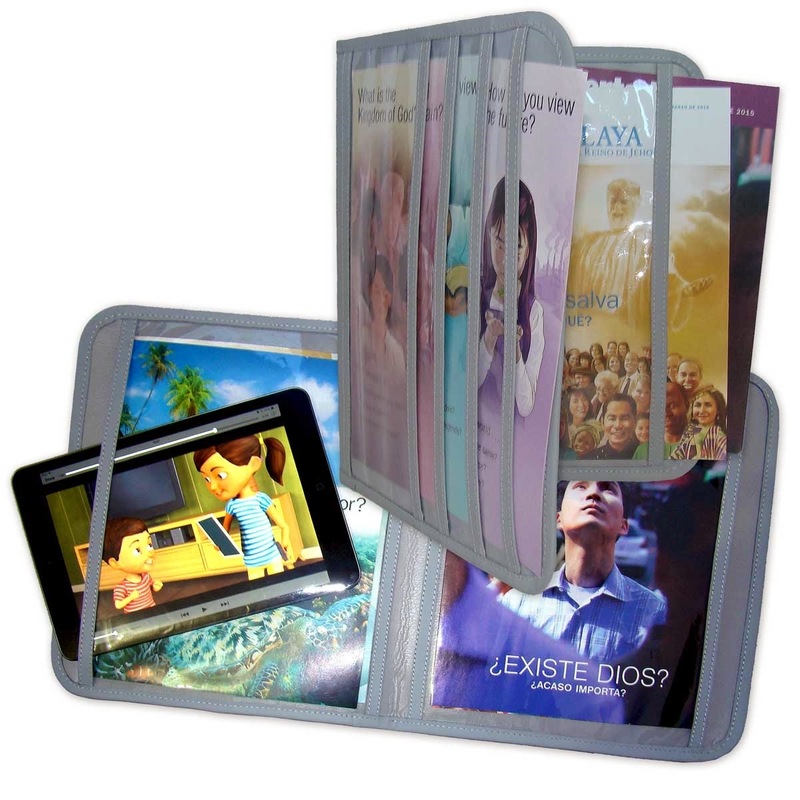 There are now eight separate pockets for tracts and they are bigger, meaning that the tracts and magazines are easier to slide in and out and are no longer partially exposed. You can entrust more documents to this folio than to its predecessors and they will be even safer! So, if you are looking to buy a magazine and tract display folio for the first time or need to replace one that’s been worn, you definitely cannot go wrong with this one! Be sure to subscribe to our blog so that you can stay up to date! And don’t forget to visit us any time you need new ministry supplies or are looking for a meaningful gift for one of your brothers or sisters in the faith.